Think you need to eat green this Saint Patrick’s Day? Think again. Come Saint Patrick’s Day, few desserts can stand up to the mighty Guinness Chocolate Cake – until now. 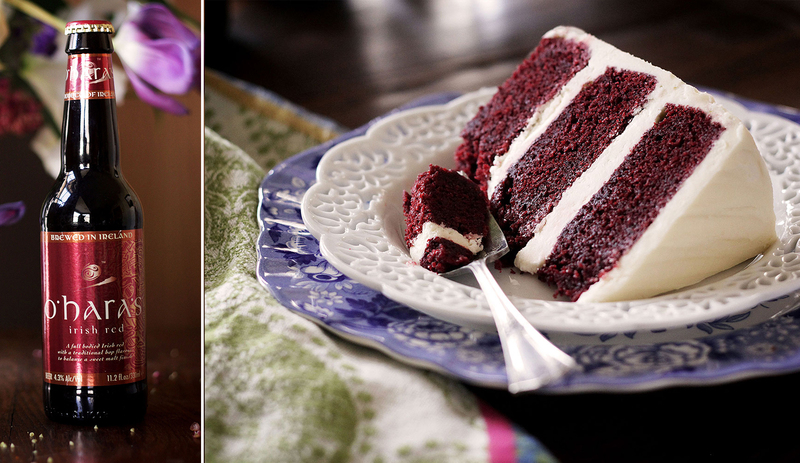 Irish Red Velvet Cake is as cheery as a wee leprechaun’s cheeks and as fiery as his beard. 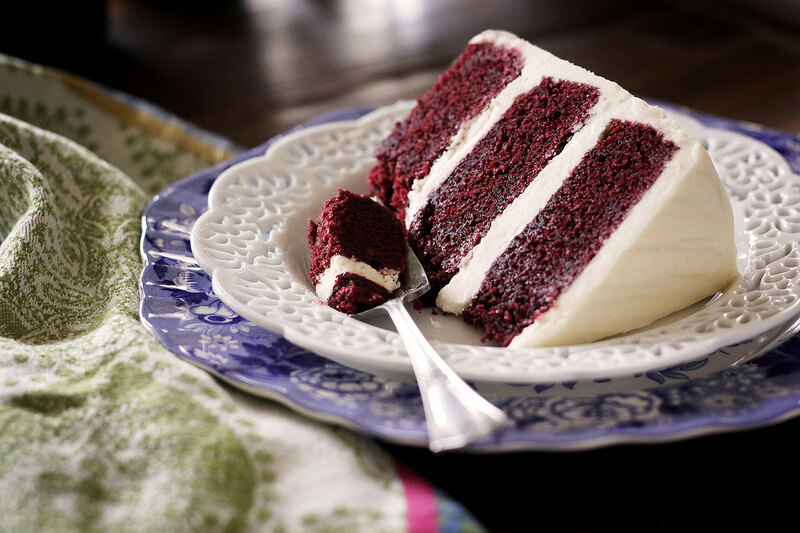 The crimson batter contains a dusting of cocoa and is bound with buttermilk – both characteristics of a traditional Red Velvet Cake, popular in the American South. But a few glugs of O’Hara’s Irish Red Ale gives this otherwise ordinary cake Celtic edge. What is an Irish Red Ale? Irish Red ales are reddish-brown in color and full-bodied. 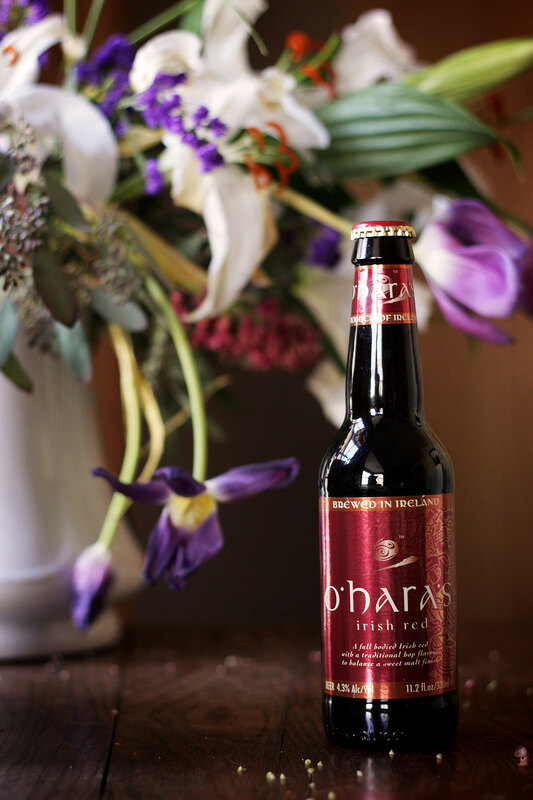 In the case of O’Hara’s, toasted malt sweetens the drink, while a bit of hops deepens the finish. 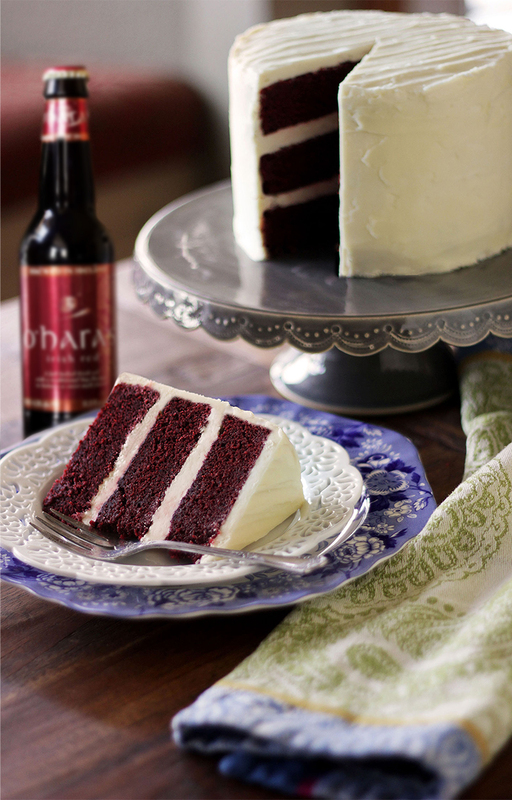 Too much of the bubbly brew can give the Irish Red Velvet Cake a yeasty, bread-like flavor – a modest 1/2 cup does the trick. Cutting back on the buttermilk to accommodate the Irish Red ale causes the cake to lose some richness but what is lost is more than made up for in festivity. 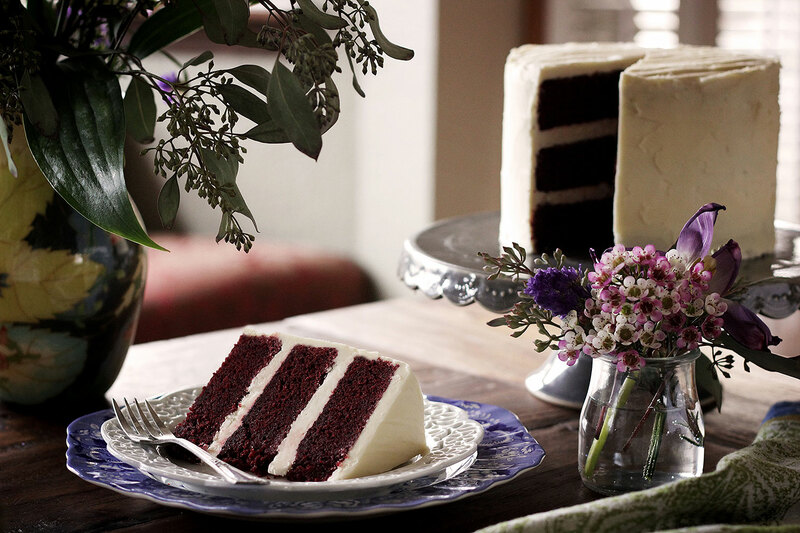 The cake remains ultra moist and – according to one friend – irresistible, particularly when paired with a fluffy spread of Bailey’s Buttercream. Note: The booze cooks off, so this cake is suitable for children, too. The Bailey’s in the buttercream is no different than adding vanilla extract. 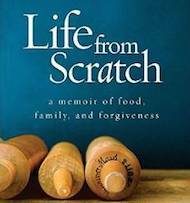 One blustery day this winter I decided to organize my cookbook collection. 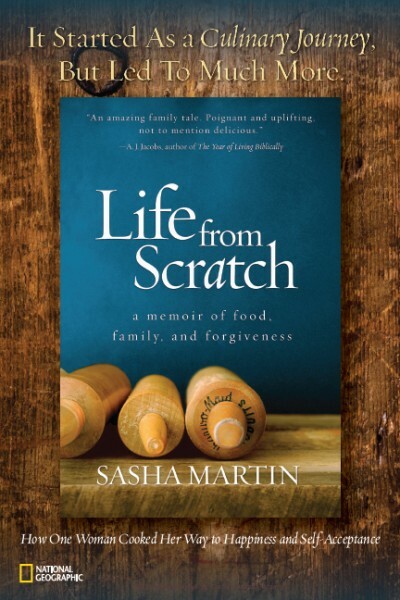 Food and Wine had just come to the house to do a photo shoot promoting my new book and had made a half dozen stacks with my cookbooks for a photo feature. As I put the books away, I sorted and edited the collection with fresh eyes. In the chaos I stumbled upon a beer guide I’d long-since forgotten about. The glossy pages fell open revealing an assortment of Irish beers. A formidable pint of Guinness caught my eye, reminding me of the Guinness Chocolate Cake with Bailey’s Buttercream my family enjoyed back when we first cooked Ireland. Then my eyes drifted across the page to the Irish Red ales. Somehow the notion of a red ale and a beer-infused cake became transposed. 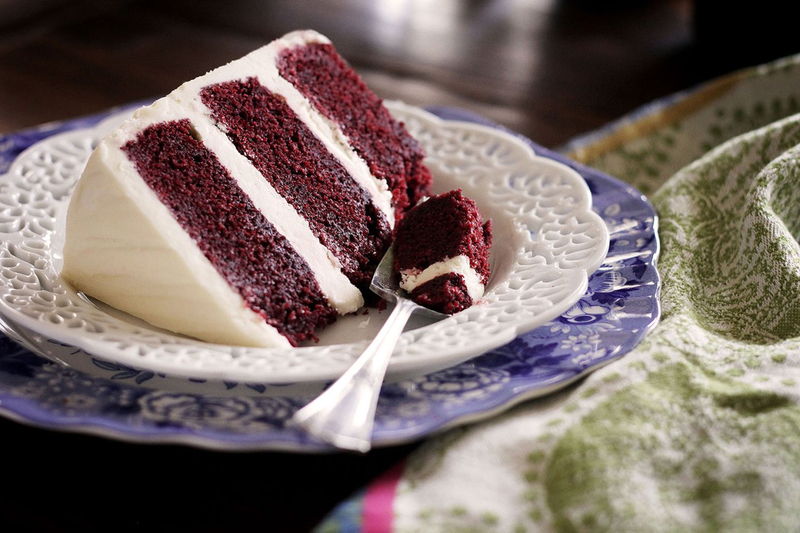 My brain decided, (with alarming urgency) “I must make an Irish Red Velvet Cake.” A quick Google search turned up empty: as far as I could tell no one had attempted such a thing. Until now. 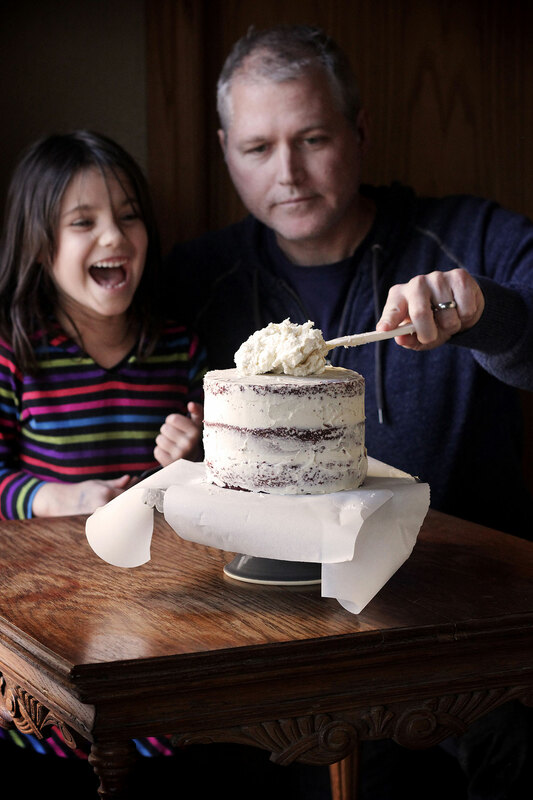 … you spread a very thin layer of buttercream over the entire cake. Next, refrigerate until the buttercream chills and is firm to the touch (about 30 minutes). 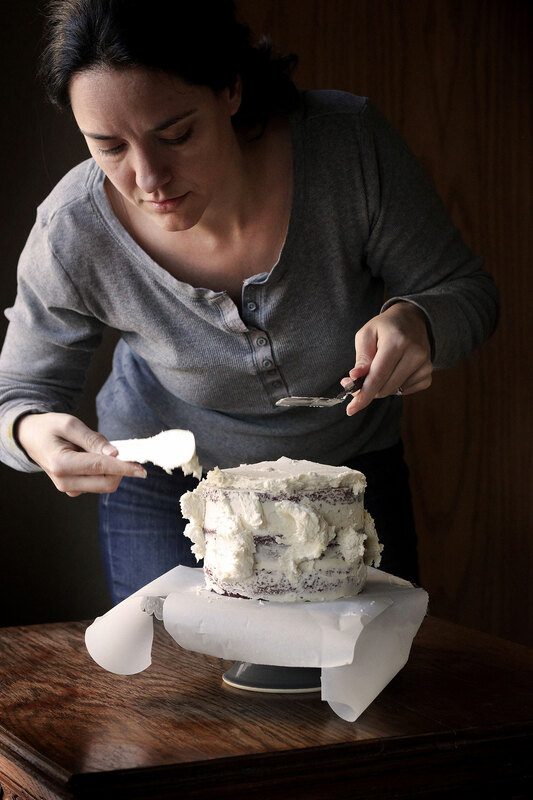 The hardened buttercream traps the crumbs so that the next (thicker) layer of buttercream remains pristine as fresh snowfall. For the final coat, I like to dab frosting strategically around the cake and then use an offset spatula to smooth it out evenly. Your stove top travels await…. Take a moment, where ever you are, to enjoy your cake with a sense of adventure and imagination. 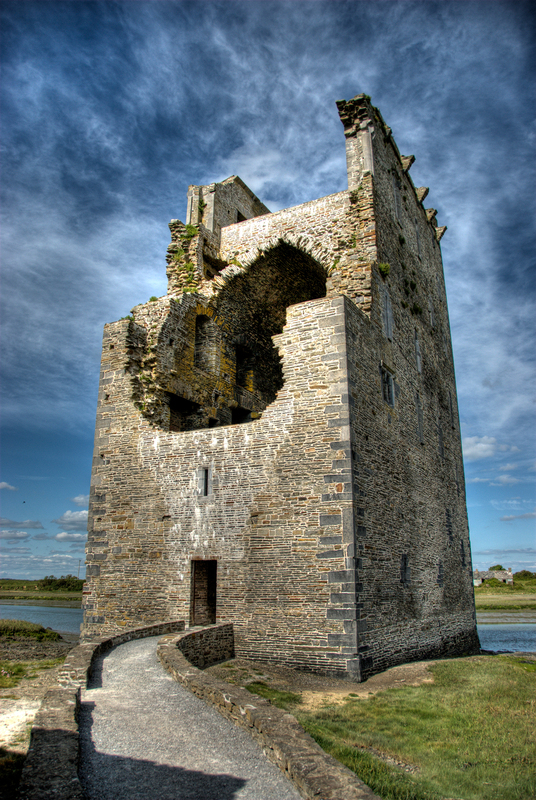 Photo of Carrigafoyle Castle, Co. Kerry, Republic of Ireland by Arcaist. … or an Irish Pub in… America! 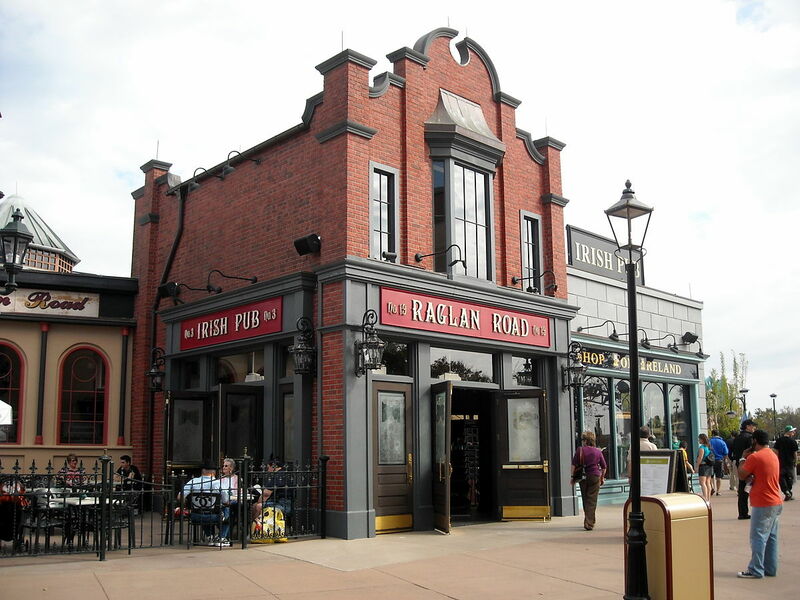 “Downtown Disney – Raglan Road Irish Pub” by Berkielynn. Either way, you’ll be on your way to very sweet and very lucky day. 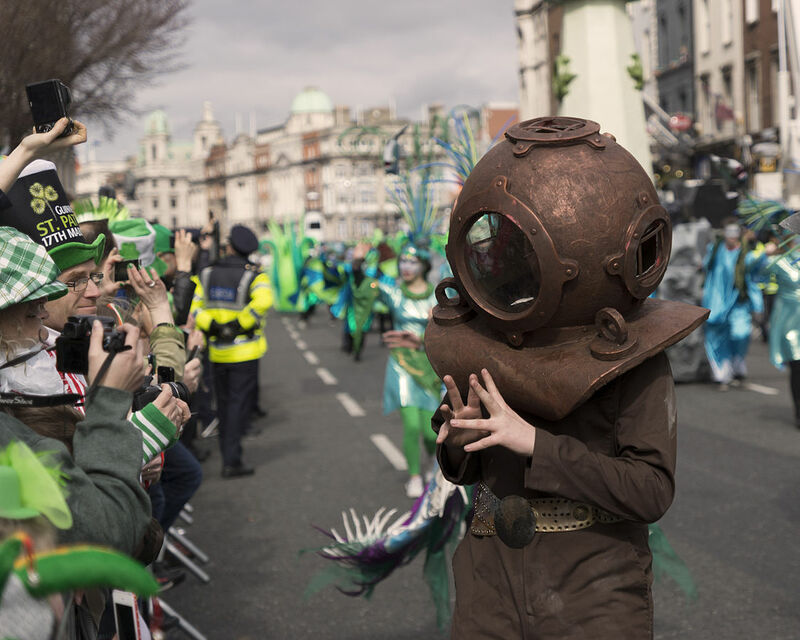 “St Patrick’s Parade 2014” by Miguel Mendez from Malahide, Ireland. 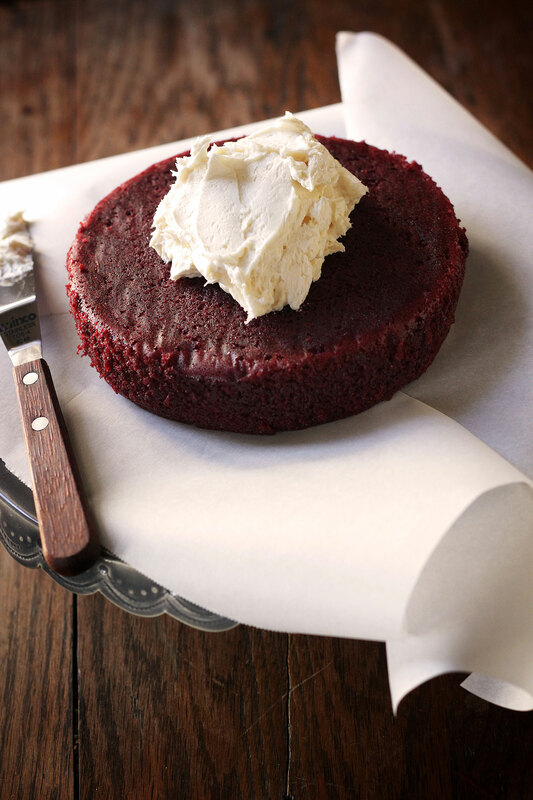 Irish Red Velvet Cake is as cheery as a wee leprechaun's cheeks and as fiery as his beard. 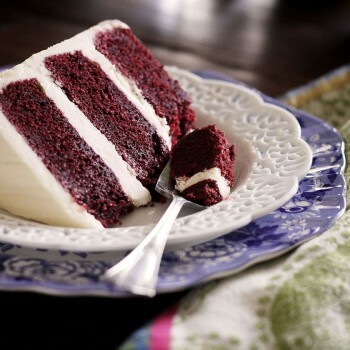 The crimson batter contains a dusting of cocoa and is bound with buttermilk - both characteristics of a traditional Red Velvet Cake, popular in the American South. But a few glugs of O'Hara's Irish Red Ale gives this otherwise ordinary cake Celtic edge.Makes one 6" triple layer cake or one 8" layer cake. 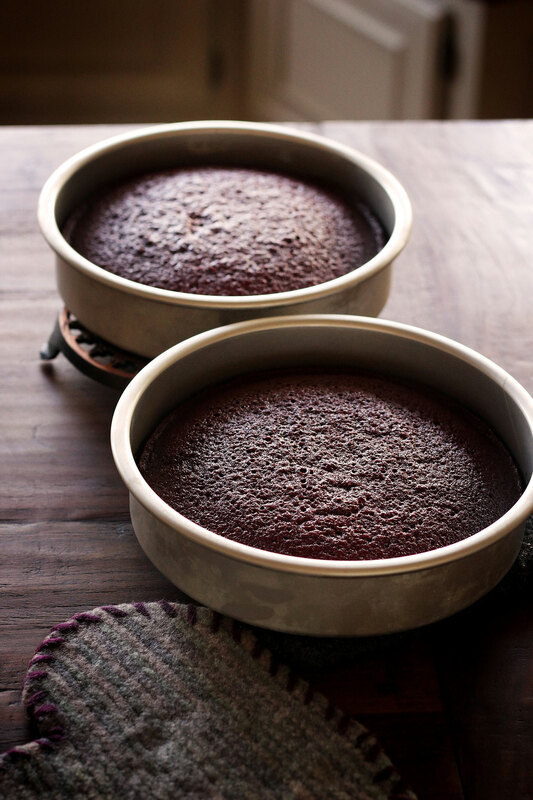 Prepare cake pans by greasing and lining with a circle of parchment paper. In a small saucepan, melt the butter and cocoa together and stir until smooth. Remove from heat and add the red food coloring, O'Hara's Irish Red, buttermilk, vanilla extract, and apple cider vinegar. 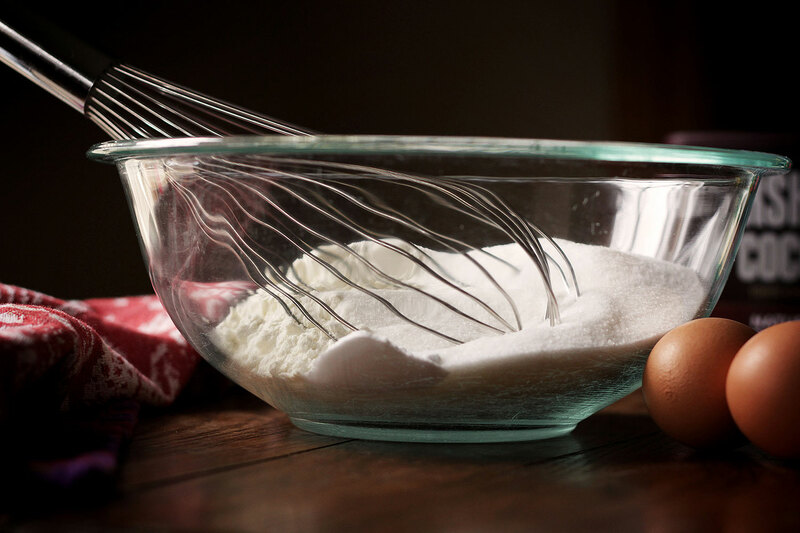 In large bowl, whisk together the dry ingredients and then beat in the wet ingredients and the eggs. 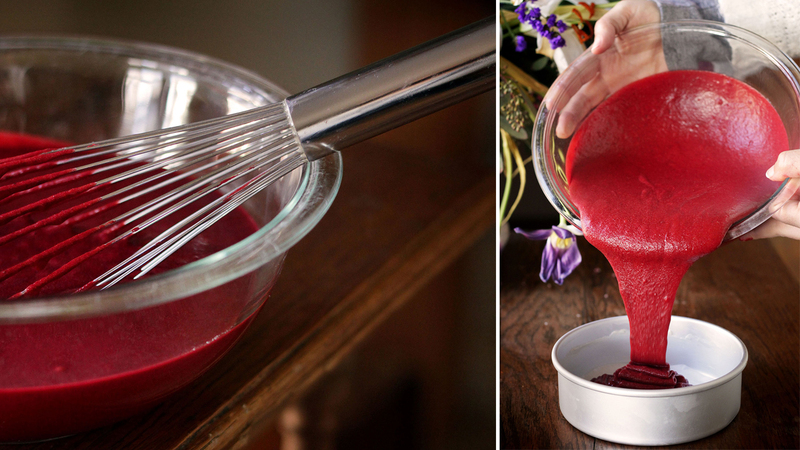 Beat smooth and pour into prepared cake pans. Let the cake cool completely. Meanwhile, beat the softened butter in a stand mixer on high speed until fluffy. 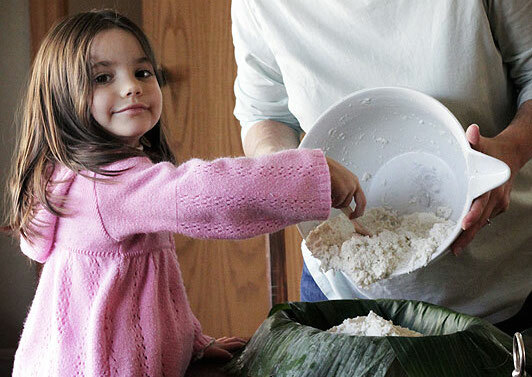 Reduce speed and slowly incorporate the powdered sugar. When well-combined increase the speed and beat well for up to 10 minutes adding in enough Bailey's to make the buttercream loose and fluffy. Scrape the bowl as needed. Assemble the layers by placing a thick layer of buttercream between them as "glue." 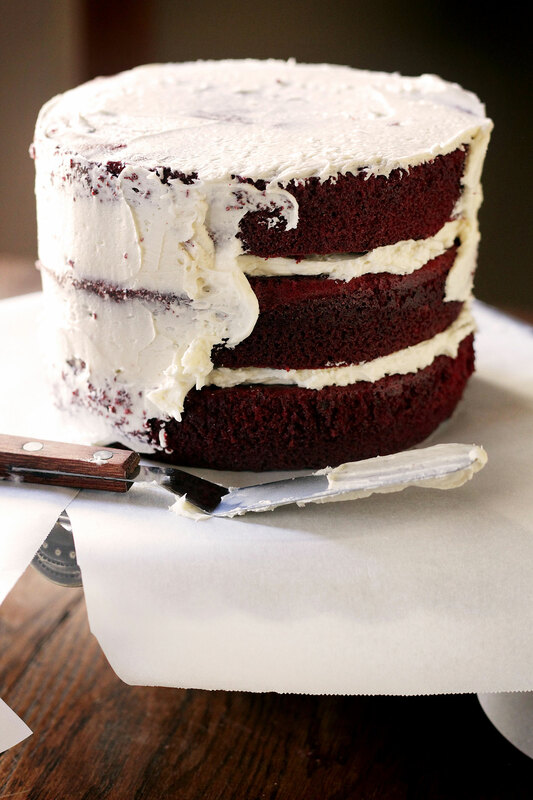 Use 1/3 remaining buttercream to create a crumb coating, spreading thinly all over the cake. Chill 30 minutes, then spread remaining buttercream over the cake.Enjoy! I simply can NOT wait until St. Patrick’s Day to make this cake! Fantastic! You’re going to love it. 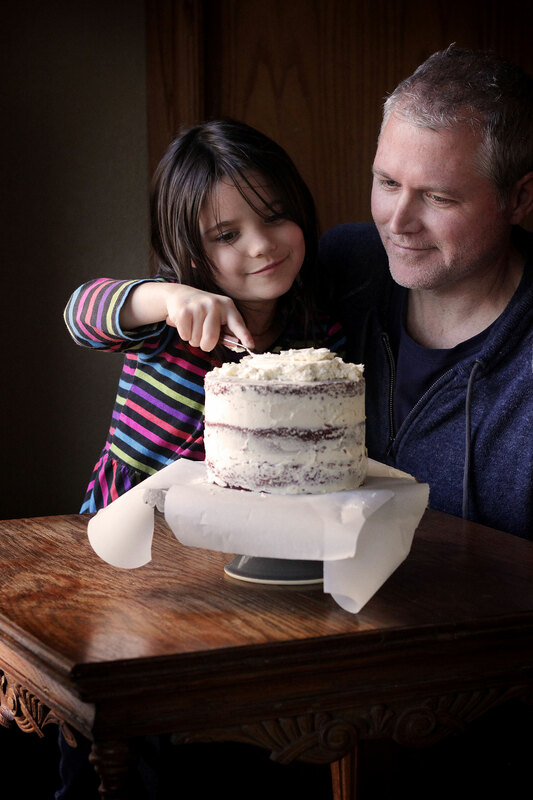 This cake looks incredible, Sasha! How’s the alcohol impact for the little ones? Oh, Sasha, I foresee a fast in the future 🙂 We are still snowed in and what can you do but bake against it. I absolutely want to bake this cake, looks amazing! I saw your recipe in relish magazine for Glazed Orange Coconut Cake; this one will definitely be baked,no doubt! thanks.